Japanese Privet, also commonly referred to as Japanese ligustrum, is a go-to shrub when you need to create an evergreen privacy screen. This easy-care shrub produces clusters of fragrant white flowers in the spring that are followed by black fruit. The flowers are very fragrant; some enjoy the fragrance, while others find it unpleasant. If unwanted, flowers can simply be controlled with regular pruning as they are produced on terminal growth. The flowers are a good source of nectar for bees, and birds will enjoy their berries during the winter. Japanese privet can be kept sheared as a hedge or trained into a topiaries. Plants are also attractive when left to grow into their natural form, creating a multi-cane small evergreen tree. Japanese privet has lustrous, deep green oblong leaves and is fast growing, reaching up to at least 10’ tall and 7’ wide, but often becoming larger with maturity. 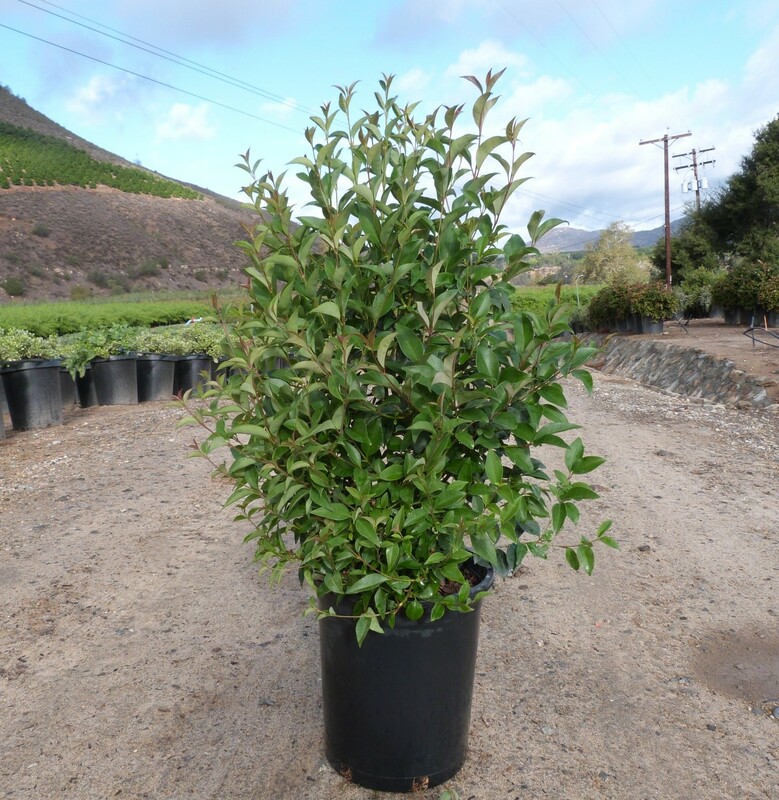 Japanese privet is very drought tolerant and in fact they do not tolerate moist soil conditions very well. In order to avoid unfavorable conditions, amend planting area to ensure it is well draining. They perform the best when planted in full sun, but can tolerate a fair amount of shade. Note, plants can be invasive in some regions.